Are you in Walled Lake MI and searching for a experienced clean up, repair, and restoration contractor due to water damage or flooding in your home or business? 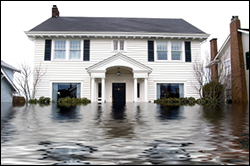 Capital Flood Restoration is a certified water damage restoration contractor serving Walled Lake MI. We are experienced with commercial and residential water damage repair, clean up, and restoration. Are you in need of a 24 hour emergency water damage restoration or flood damage restoration company in Walled Lake MI? Capital Flood Restoration provides 24 hour, 7 day a week emergency water damage restoration services in Walled Lake MI due to broken pipes, flooding, roof leaks, water in basements, appliance hose leaks, sump pump failures, or any type of water damage. 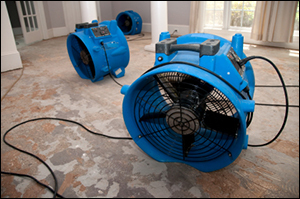 Water damage and flooding problems in your house or place of business can be very disruptive. If the initial water damage or flooding is not dealt with soon, secondary damage can occur as the moisture wicks into plaster, drywall, hardwood floors, carpets, and your buildings wood structure. The excess water must be removed and the building structure will need to be completely dried. Capital Flood Restoration has certified employees and high tech equipment to properly mitigate water damage in commercial and residential property. We will evaluate the damage, remove the excess water and begin the drying, clean up, repair, and restoration process with as little disturbance to your family or business as possible. In many situations the water damage restoration repairs are covered by your homeowners or commercial insurance policy. We work with all major insurance companies and will bill them directly, we will also help pay your deductible up to $500. Our water damage restoration technicians receive many hours of classroom instruction by the IICRC in the latest structural drying techniques and proper water damage mitigation procedures. 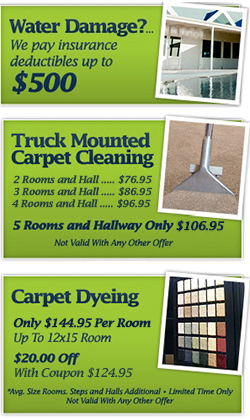 Our truck mounted water extraction equipment will remove the excess water from your carpets and flooring. After the excess water has been removed we can begin the drying process which includes dehumidifiers and air movers. We will frequently monitor the humidity levels with our moisture meters until the structure is dry. 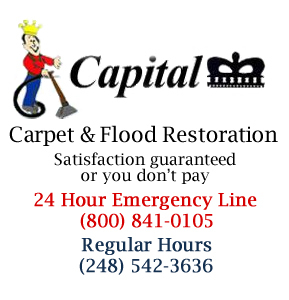 If your home or business in Walled Lake MI has experienced water damage due to any type of accident or disaster call Capital Flood Restoration. We have the experience and equipment to manage commercial and residential water damage restoration projects of all sizes. We provide a 24 hour emergency restoration response line that is answered by a live operator for situations that require immediate attention and we will respond within 2 hours. Our Certified Technicians begin with water removal and extraction of damaged structural items using our commercial truck mounted pump out equipment. We may apply a mildecide, anti fungal, or anti microbial agent depending on the water source. Carpet, wood floor, ceiling, wall, basement, crawl space drying and dehumidifying using our industrial strength Structural Drying Equipment, Dehumidifiers and Air Movers. If you are looking for an experienced water damage or flood damage restoration company able to manage residential and commercial water damage restoration projects in Walled Lake MI call Capital Flood Restoration today. Testimonial: "He Does a Great Job!"